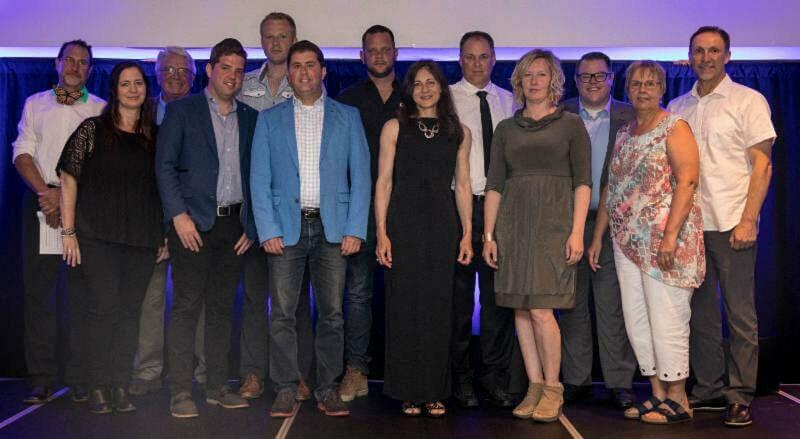 Four Landscape Ontario members received top honours at the national level at the annual National Awards of Landscape Excellence, held Aug. 15 at the Algonquin Resort in St. Andrews, N.B. 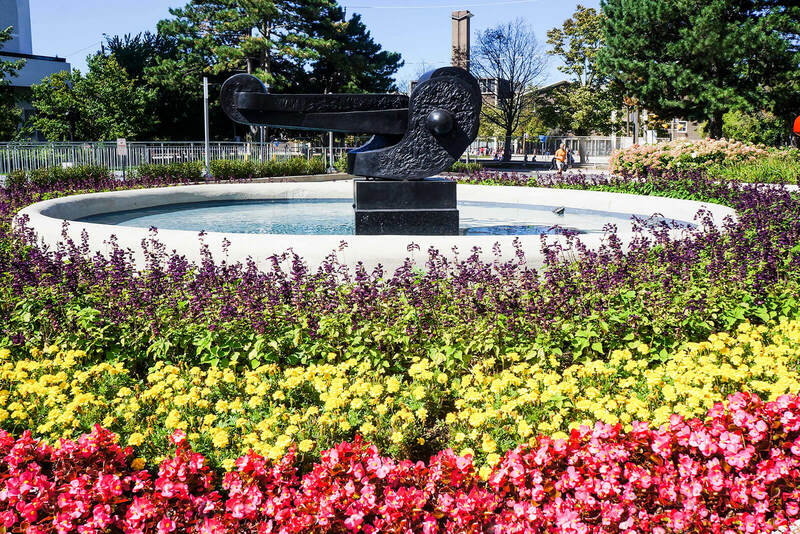 Produced by the Canadian Nursery Landscape Association (CNLA), the National Awards of Landscape Excellence recognizes Canadian companies that have actively participated in significantly raising the level of professionalism in the landscape profession. To be nominated for a national award, the project/company must first win an award at the provincial level. Some 100 landscape and horticulture professionals attended to celebrate the 2018 National Award winners, whose projects demonstrated the best-of-the-best in landscape horticulture. Attendees also had a chance to connect with the entire Canadian Nursery Landscape Association (CNLA) Board of Directors. 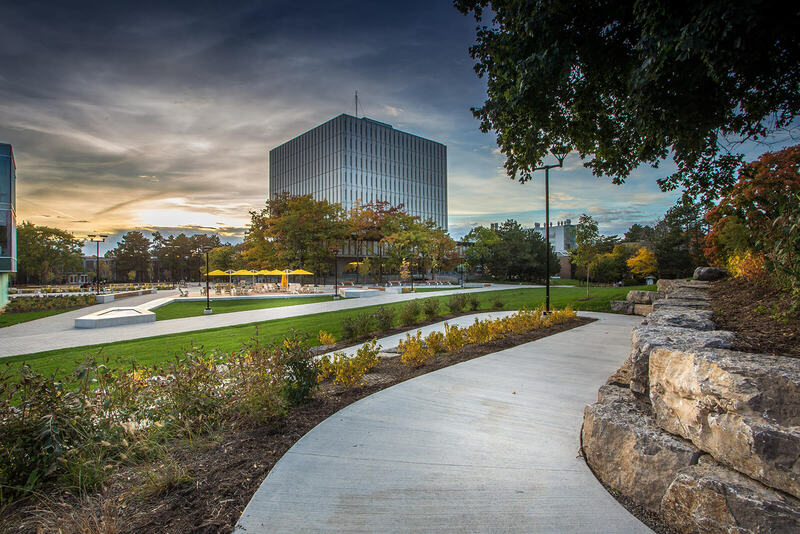 CSL Group, from Ancaster, Ont., for the Caterpillar National Award of Landscape Excellence in Commercial Construction. Airo Landscapes, from St. John’s, N.L., for the National Award of Excellence for Landscape Design. Aden Earthworks, from North York, Ont., for the National Award of Landscape Excellence in Commercial Maintenance. Pro-Land Landscape Construction, from Brampton, Ont., for the Caterpillar National Award of Landscape Excellence for Residential Construction. Shades of Summer Landscaping and Maintenance, from Waterdown, Ont., for the National Award of Landscape Excellence for Residential Maintenance. Scott’s Nursery, from Fredericton, N.B., for Outstanding Retail Achievement. Dynascape for the Green for Life Industry Award. The Caterpillar Green for Life Community Award was presented to the Community Innovation Project (CIP) at New Brunswick’s École secondaire Assomption and École secondaire de Rogersville. Spearheaded by Claude Vatour, the CIP involves various student projects inside as well as outside of the schools in a variety of academic disciplines, including environmental science, woodworking, horticulture and landscaping, and industrial design. The awards program would not be possible without the help of many sponsors. CNLA would like to thank: Caterpillar, John Deere, Dynascape, Mark’s Commercial and Hort Protect for their support. CSL Group won the or the Caterpillar National Award of Landscape Excellence in Commercial Construction. Aden Earthworks received the National Award of Landscape Excellence in Commercial Maintenance. Pro-Land Landscape Construction won the Caterpillar National Award of Landscape Excellence for Residential Construction. Shades of Summer Landscaping and Maintenance received the National Award of Landscape Excellence for Residential Maintenance.